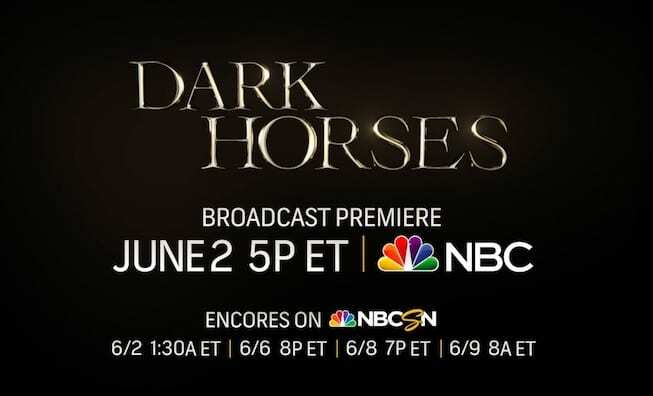 NBC Sports presents the broadcast debut of Dark Horses, the story of the most unlikely rivalry in Triple Crown history, this Saturday, June 2 at 5 p.m. ET on NBC. 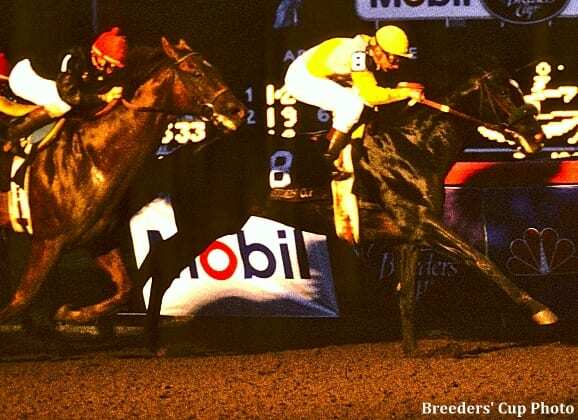 Dark Horses brings viewers back to 1989 and the thrilling showdown between Easy Goer and Sunday Silence. For a preview of “Dark Horses,” click here. Narrated by actress and Kentucky-native Ashley Judd, Dark Horses chronicles the competition between Easy Goer, who descended from racing royalty and one of the most powerful farms in the sport, and a relatively unheralded colt named Sunday Silence. The 60-minute documentary looks back at the 1989 racing season during which the two horses – who each had members of the well-known Hancock family on opposing sides – competing head-to-head in all three Triple Crown races, and the Breeders' Cup Classic. The competition provided some of the most dynamic and compelling races in thoroughbred history. The film features interviews with Arthur Hancock, the owner of Sunday Silence, host Al Michaels, race caller Tom Durkin, jockey Pat Valenzuela, who rode Sunday Silence during the Triple Crown races, Easy Goer's jockey Pat Day, jockey Chris McCarron, who rode Sunday Silence at the 1989 Breeders' Cup, and Shug McGaughey, Easy Goer's trainer. Dark Horses was directed by Castor Fernandez (ESPN 30 for 30: “Brothers in Exile”). Leading into the Belmont Stakes, NBCSN will air encore presentations on Wednesday, June 6 at 8 p.m. ET, Friday, June 8 at 7 p.m. ET, and Saturday, June 9 at 8 a.m. ET. The Epsom Derby, Britain's richest horse race and the second leg of the English Triple Crown, airs this Saturday, June 2, at 10 a.m. ET on NBCSN. Presented live from the Epsom Downs Racecourse in Surrey, England, the race serves as the middle leg of the English Triple Crown, which began with the 2000 Guineas and is followed by the St Leger. The Epsom Derby is also the U.K.'s richest horse race, with a purse of more than 1.5 million British pounds (approx. $2 million USD). Saturday's race features a field of 14 entries, including the undefeated favorite Saxon Warrior. This entry was posted in NL List, The Biz and tagged arthur hancock iii, Ashley Judd, breeders' cup classic, castor fernandez, Claiborne Farm, dark horses, dell hancock, Easy Goer, NBC, nbc sports, nbcsn, racing rivalry, Seth Hancock, shug mcgaughey, stone farm, sunday silence, Triple Crown by Press Release. Bookmark the permalink.